I wish we would all take a deep breath and agree to leave summer vacation alone. I am not sure what we are trying to gain by ensuring that so much of a child’s life from age five until adulthood is spent inside the walls of a school. Children need quality time to bond with their families and make lasting memories. Summer vacation gives children time to explore, learn and create. They should not have to sacrifice their childhoods to be successful. We do not want to return to a time in our history when children were forced to work long hours in dangerous conditions in sweat shops, nor do we want our compulsory education system to chip away at their opportunity to be children. I understand the reasoning behind arguments to shorten summer vacation or get rid of it altogether. The school calendar is antiquated, based on an agrarian system that no longer applies. During summer, students—especially those most at risk— often lose academic ground. However, forcing our children to go to school for more days is not the answer. There other solutions available to supplement a child’s education while still providing them time to explore the world outside of the school year. Summer offers parents a large block of uninterrupted time to schedule family book reads or explore geocaching. The “Maker Movement” provides parents with a number of unique strategies to encourage learning and challenge creative thinking at practically no cost. Summer vacation is a magical time in the life of a child. Let’s think long and hard before we ask our children to pay this price so that they can grow up a little quicker and enter the workforce ahead of the competition. Joe Fatheree is an award winning author, educator, and filmmaker. He has received numerous educational awards, including being recognized as a Top 10 Finalist for the 2016 Global Teacher Prize, Illinois Teacher of the Year, and the NEA’s National Award for Teaching Excellence. 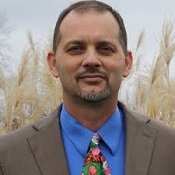 He currently serves as the Director of Strategic Projects for the National Network of State Teachers of the Year in Washington, D.C. and is the instructor of creativity and innovation at Effingham High School in Illinois.